After reading Sidin’s first two books, and following his blog for a long time, reading this book was an obvious for me. I had pre-ordered this one online, and was waiting eagerly to grab my hands on it. The book 1 in this trilogy (are there more Sidin?) sets the pace and the characters beautifully. It marked dork’s arrival in the literary world. Book 2 was slightly annoying with predictable plot and gibberish characters. Book 3 continues the same tone of book 1 and 2 in a different setting – the Common Wealth games..Er! The Allied games! 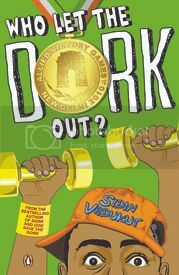 Book 3 is a hilarious satirical take on the mess that was the Games in Delhi in 2010. The story is fast paced, structured and revolves around one thing right from page 1 : the allied games in Delhi where the lead character, Robin’s company is helping out the government. The subtle and powerful satire to the events in the book makes the book stand out. Most of the incidents would make you think about an actual happening that you must have read in the newspapers and especially the political characters immediately take your mind to an actual public personality. The description of the politician who is desperate to get into Tihar jail for advancement of his career ( as that is where he would be able to network with the who’s who of politics and Business) stands out. The description of the Tihar jail party, the innovatively named food items (Anticipatory Bhel, Quattarocheese pizza) in the jail canteen and the vivid description of the entrance to the Jail is one other instance where you actually feel – Maybe this is really true! Overall, the book is an easy read, and it never loses focus on the central issue at Hand – The Allied games. A special mention to the innovative narrative used by Sidin right from book 1 – Diary entries. This makes the flow chronological, and at places where suspense and curiosity needs to be built, there is a mention of a particular happening and the details are spelt out later.